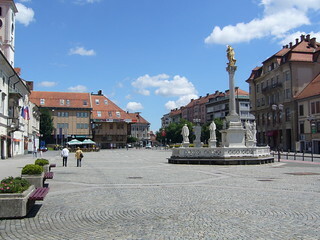 Slovenia’s second largest city Maribor was established in 1254 and named an Alpine city in 2000. It’s the capital of the Lower Styria region. It’s a European Capital of Culture this year (2012) and European Youth Capital as well as host of the XXVI Winter Universiade in 2013. The 15th century Maribor castle, 12th century Gothic Cathedral and the Town Hall are all popular with visitors. You can also visit the oldest grapevine in the world, Stara trta, at the local University. You can enjoy a grand view of the city and towards the river Drava from Piramida Hill, where the 12th century castle ruins lie alongside a 19th century chapel. 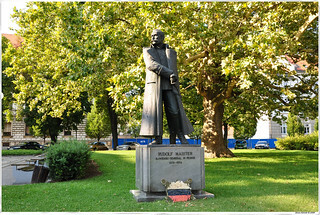 The two-week long Maribor Waterfront Festival which showcases many different cultural events takes place in June. The town’s popular skiing centre of Mariborsko Pohorje hosts the Alpine Skiing World Cup slalom (also known as Zlata lisica; the Golden Fox) in January. Maribor has beautiful medieval wall remains with structures such as the Judgement, Water and Jewish Towers the most evident. 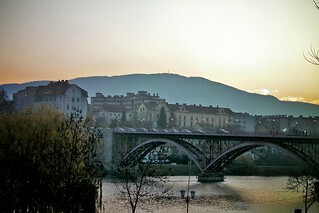 There are many iconic bridges including the Carinthian, Studenci Footbridge, Tito and the Double-Storey Bridge. Maribor Island contains the oldest public baths in the city, while the Pristan and Fontana indoor swimming pools are lovely. 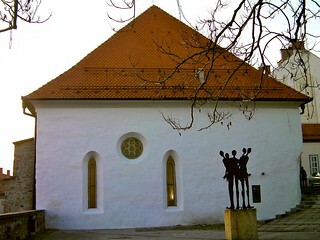 Also noteworthy is the 14th century Synagogue in the Jewish square, currently serving as a cultural activity and exhibition centre. Do try some local sour or mushroom soup served with buckwheat mush, followed by tripe, sauerkraut sausages or cheese dumplings, then for dessert sample some gibanica cheesecake. You can accompany the meal with a drink from the local Vinag Wine Cellar which produces a great variety of excellent tipples. Work off the meal by taking a stroll along the City Park. For the more energetic, the Adrenaline park Pohorje with its high-jinx adventure offerings will be fun.